This past weekend we braced for Hurricane Irma as it appeared that Sarasota may be in its path. Wind and rain pelted our homes Sunday night. On Monday many of us dealt with power outages. As ours came back on, Tuesday my mother was ready to return to her home. As we took a ride down the newly opened Lorraine Road, we saw rows of uprooted newly planted trees. As we drove from Lakewood Ranch, to Sarasota, out to Siesta Key, and then through downtown Sarasota, we noticed that most of the destruction left behind was fallen newly planted trees that had not been established yet and also older mature trees. This row of trees will be easy to set right up again, but many many trees did not fair so well in our neighborhoods. And now the clean up begins. Categories: 52 week photo challenge, hurricane, Lakewood Ranch, Roads, Sarasota, weather | Tags: hurricane, Hurricane Irma, Lakewood Ranch, Lorraine Rd, Sarasota, trees | Permalink. “Our tax dollars at work” is evident in Sarasota. Revenue from a penny surtax approved by voters in 2007 has enabled Sarasota County to complete capital improvement projects without raising property taxes. This sales tax is collected from year-round residents, seasonal residents, and tourists. 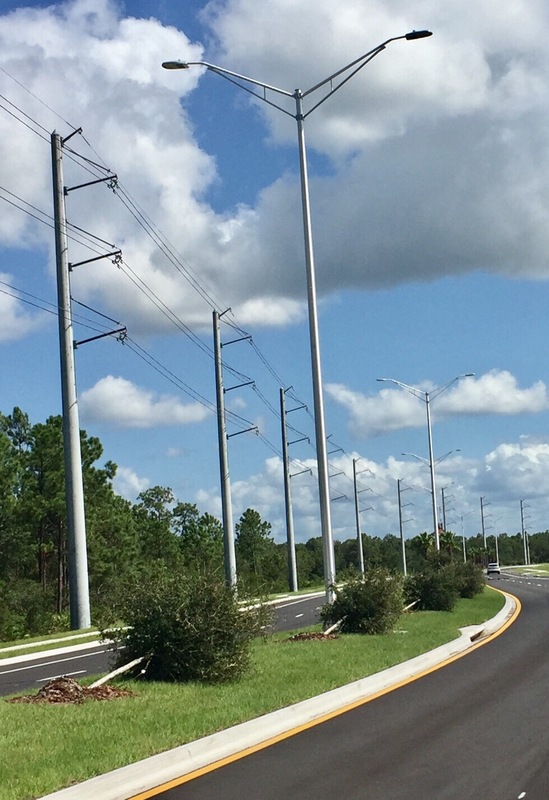 The infrastructure tax is a one-cent sales tax that funds many capital improvement projects for Sarasota County to make it a better place to live, work, and visit. Aside from road improvements, past projects have included street tree landscaping, the new North Port Police station, North Port High School, new fire stations, bike trails, waterway improvements, and improvements to the Venice pier parking lot. The penny was first approved by voters in 1989. An extension was approved by voters in 1999. In 2007 Sarasota County voters were swayed again to approve a 15-year renewal of the 1 percent sales tax. Sarasota County Commissioners agreed to dedicate 50% of the revenues for transportation projects. I took this photo from my car east of I-75 on Bee Ridge Road in Sarasota. The purpose of the Bee Ridge Road Project is to widen the road from two lanes to four. The project includes sidewalks, bike trails, street lighting, landscaped medians, and four roundabouts. This is in my neighborhood, so I am having to endure the trials of road construction now as I travel to and from work five days a week. And should I mention that I travel north on I-75 to University Parkway each day to get to work? 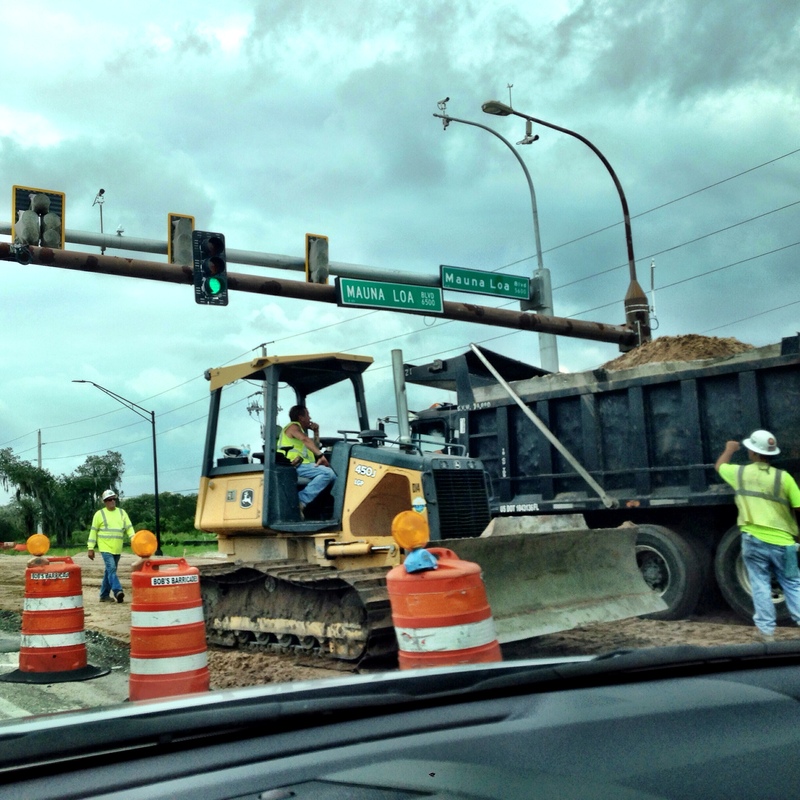 Locals know that the I-75 / University Parkway Interchange Road Project is to begin August 3rd. Oh joy! Categories: 52 week photo challenge, Roads, Sarasota, Sarasota County | Tags: 52 week photo challenge, Bee Ridge Rd, capital improvements, I-75, North Port, one cent sales tax, penny tax, road projects, Ronald Reagan quote, Sarasota County, surtax, transportation projects, University Parkway | Permalink.